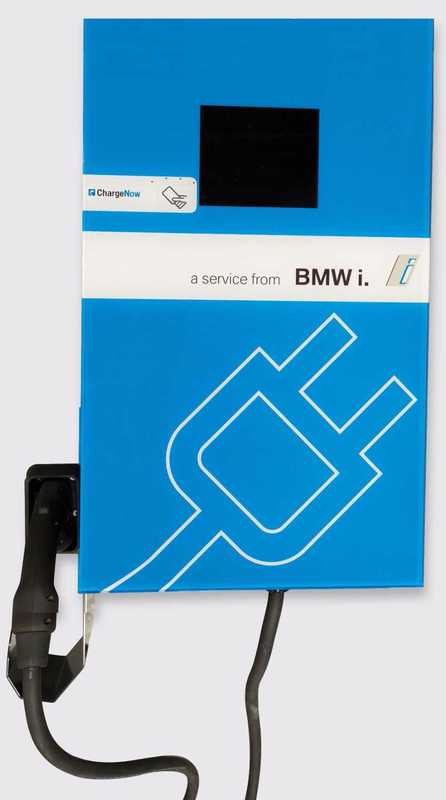 OK, I know this is going to sound trite and I’m all for charging stations wherever and whenever they can be built, but BMW’s announcement yesterday that they would be donating 100 chargers to the National Park Service starting with Thomas Edison’s lab struck me immediately as odd. The actual chargers are 30A 240V or 7.2kW AC level 2 chargers from Sema which add under 20 miles per hour of charge in a typical EV. It isn’t just the symbolism that Edison was “Mr. Direct Current” compared to Nikola Tesla’s Alternating Current technology, but the underlying factor here is that for most visitors to the museum, this wouldn’t be enough electricity to make it home in a reasonable amount of time. Take our team for instance. We could have travelled the 60+ miles to the event in my colleague Haye’s BMW i3. But we would have to stay an extra few hours after the event to get enough of a charge to get us back home (or stop somewhere else for a DC quick charge). Because of this, we took my new 238 mile Chevy Bolt and didn’t even bother using the slow chargers at the Edison Lab to get back home. I mean, what’s the point of staying an extra hour for 20 miles of range?! Also after 6 months, Sema will charge visitors and in my experience they overcharge and aren’t terribly reliable. So is this whole thing a real benefit to BMW i3 and other EV owners or just some lip service? What’s perhaps even more ironic is that BMW actually makes the perfect 24kW wall mounted DC charger (pictured, left) which would have allowed us to make the trip in my colleague’s i3. It charges his original i3’s battery up to 80% charge in 30 minutes. BMW charges a little over $6500 for these but they could have given themselves a break here on pricing. Also looking overhead, there were the requisite 480V, 3 phase lines coming into the building so installation wouldn’t have too much more expensive. Sure, all EVs including Teslas can use a Level 2 J1772 AC handle that these Sema (right) built chargers have and only US and European EVs and the Hyundai Ioniq can use the Combo CCS charger on the BMW-Bosch DC charger. Teslas of course can only use Chademo or their own Superchargers for charging at the moment but most Tesla owners have enough range to get back home if it’s within 100 miles of the museum. The bigger point of my rant here is this: Stop putting slow AC charging at places like this: Restaurants, Malls, attractions, and absolutely stop putting them on highways. They are pointless for most EV owners who are after an experience similar to gas fill ups that only high powered DC chargers can deliver. The only place for Level 2 AC charging are: airports, workplaces, train stations, hotels and of course homes where people will spend 8 hours or more at a stop. A good example: TasteNY is a rest stop on the Taconic freeway on the way from New York City to Albany. It has a small store, some grounds and an EV charger. That EV charger is 5 kW – meaning if you stay there for an hour (a huge amount of time for a rest stop) you might get 15 miles of charge. Totally pointless for traveling. But NY State is touting it as giving EV owners an option. Thanks! Putting cheap AC chargers all over the place is almost pointless if we are really trying to help EV owners and not just paying lip service. Here’s my question asked at the event. The rest of the event was lovely as we were taken on a tour of Thomas Edison’s personal car collection including a Detroit Electric with Edison’s own DC (!!) charging station. We’ll have a gallery of the finer points soon. Woodcliff Lake, NJ/Washington, D.C. – April 19, 2017… Calling on the spirit of innovation and entrepreneurship of Thomas Edison, the first of up to 100 electric vehicle charging stations in national parks and nearby communities across the country was switched on today during a press conference at Thomas Edison National Historical Park, site of Edison’s West Orange, N.J., laboratory and home. BMW of North America has partnered with the National Park Foundation, National Park Service and Department of Energy to make electric vehicles a feasible option for travel to national parks. The availability of electric vehicle chargers will help reduce air pollution in parks and gateway communities as well as demonstrate the viability of electric vehicles in everyday life. 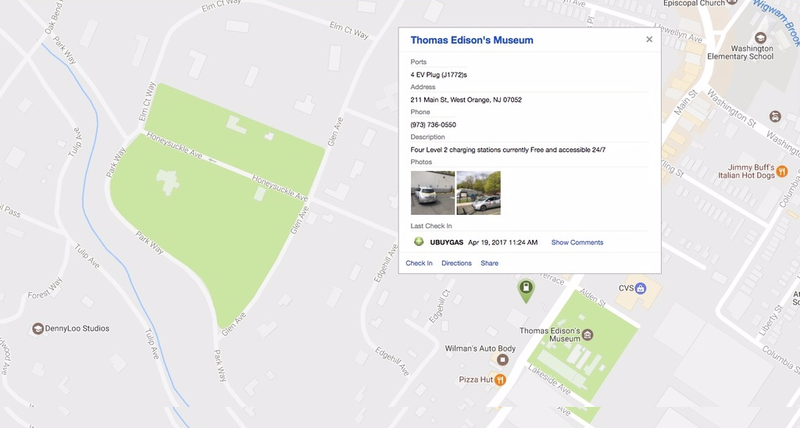 With the installation of the first charging stations at Thomas Edison National Historical Park complete, an integrated team from this public-private partnership will continue to identify park locations for additional charging stations. The team will look at factors such as proximity and strength of EV markets, distance from nearby charging locations, and natural and cultural landscape considerations. Dozens of parks have already expressed interest and are exploring site options. The Department of Energy’s Clean Cities Program works with the National Park Service to provide technical assistance to support sustainable transportation projects at national park sites. These projects educate visitors on the benefits of advanced and alternative vehicles and can help the National Park Service meet their energy and environmental goals. The benefits of these projects have the opportunity to reach far beyond the boundaries of the national parks. DOE Clean Cities will work with the national parks and BMW to continue providing technical expertise.